Any structural Engineers requirements for substructure and superstructure, including steel beam designs, ground floor slab design etc. Drainage layouts; foul & storm water runs etc. 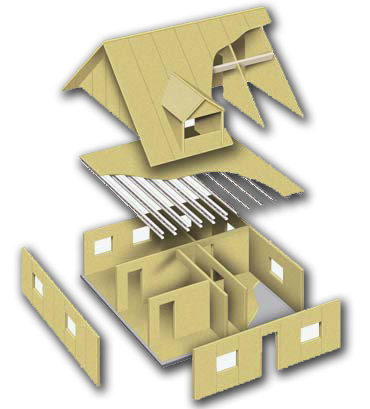 We can also customise any of our plans to include an array of MMC's. These can include Structural Insulated Panels (SIPs), Timber Frame, Off-site manufactured - volumetric, Off-site manufactured - panellised etc. Please contact us with your requirements to discuss further. The way we build houses is changing. With environmental issues likely to dominate all our lives for the foreseeable future, the building industry is moving to adapt new technologies which will lead to the building of a brand new type of environmentally friendly and energy-efficient housing. 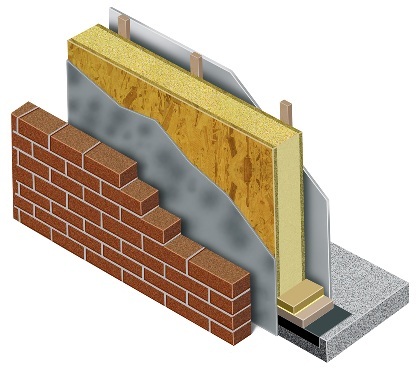 Structural Insulated Panels (SIPs) provide the ideal solution for those clients who want to create an airtight building with exceptional levels of thermal insulation and are the ideal wall choice for achieving all levels of the Code For Sustainable Homes (CfSH). Because of their superior strength, SIP homes are constructed using less timber than is required for a traditional timber frame. This results in an external envelope with few thermal bridges. Minimal thermal bridges combined with high quality polyurethane core results in very low U values in comparison with other forms of construction. SIP panels are assembled using adhesives and sealants to glue the components together. This results in a very airtight structure. Because of the way they are assembled SIP homes are able to achieve their required air tightness prior to wall finishing`s being fixed. 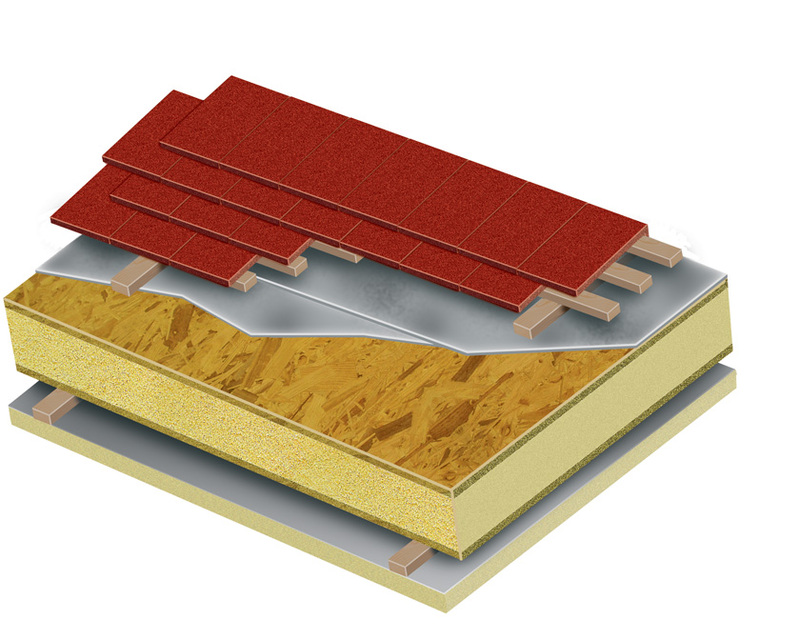 SIP panels are suitable for walls as well as roof structures and are ideally suited to projects with room in the roof design. 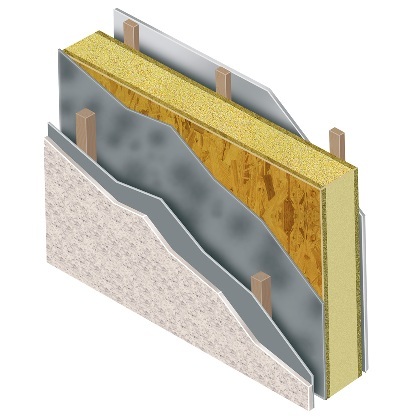 SIP panels are made from Orientated Strand Board (OSB3) facing boards with a CFC free/ODP zero closed cell polyurethane core. SIPS is a building system which will speed up the construction process as well giving us homes and buildings that are ready for 21st century living. 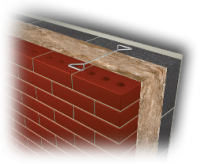 With its unique insulating properties SIPS allow you to reap a number of major benefits throughout the construction process and for many years after a building has been completed. 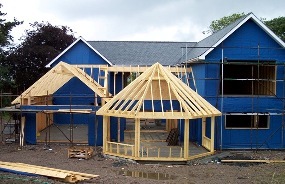 SIPs are available in a variety of thickness to meet the 'U' value and roof spans required. 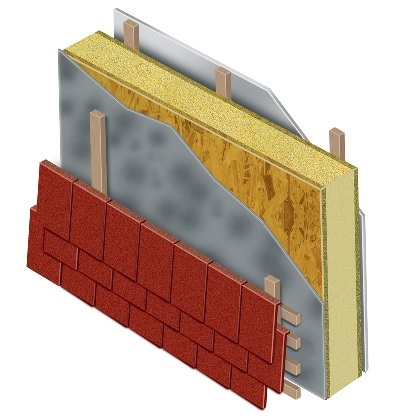 They range from 100mm to 250mm thick and can be a direct replacement for the internal skin of the cavity wall - see the applications below for general construction elements. 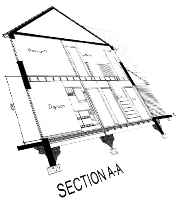 Selfbuildplans can design your house as a full SIP structure with or without the roof. 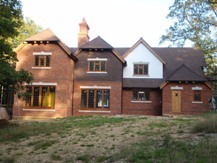 All of Selfbuildplans house types can be easily adapted to accomodate SIPs and we can provide a full pack of comprehensive SIP construction drawings ready for your builder to follow - Please contact us for more details. 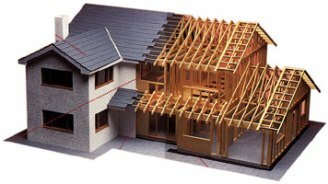 As its name implies, timber frame construction is a method of building that relies on the natural resource of timber to provide the basic means of structural support. Timber has many properties which we believe is the best material for construction in a modern day environment. Timber contains less embodied energy than comparable building materials and is possibly the only renewable structural building material available today thus making timber the leader in an industry that is continually promoting the need for higher levels of energy efficiency and sustainability. 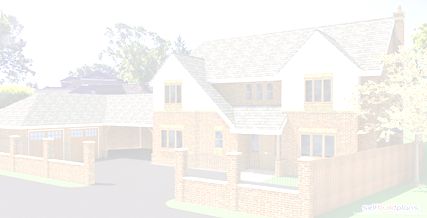 All of our house designs can be quickly amended to timber frame or purchased directly for conversion by your timber frame supplier, who would usually complete a bespoke design from any of the house plans we offer. 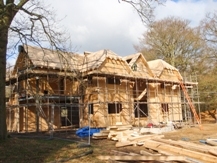 Just inform us of your favourite plan and selfbuildplans can liaise directly with your chosen timber frame supplier to obtain a full cost base for the structural timber frame. This will give you certainty in your costs before you commit to purchase any plans from us. Please contact us for more information.